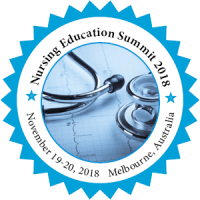 The Nursing Education Conference is a platform for nursing students, faculty, deans, researchers, and leaders to collaborate on topics affecting nursing education. Nurse Education involves of the theoretical and practical training provided to nurses with the purpose to prepare them for their duties as nursing care professionals. This education is provided to nursing students by experienced nurses and other medical professionals who have qualified or experienced for educational tasks. Most countries offer nurse education courses that can be relevant to general nursing or to specialized areas including mental health nursing, pediatric nursing and post-operatory nursing. Nurse education also provides post-qualification courses in specialist subjects within nursing. You worked for this practice before? Are you working for this practice? Want to display this practice on your profile? No matching course or event posts found.